It’s been only three months since the launch of the two direct flights from Manchester and London to the Vallarta-Nayarit International Airport and already British tourists make up 3% of the total of visitors to the Riviera Nayarit. The first numbers are in and according to the statistics rounded up during the daily surveys conducted by the research department of the Riviera Nayarit Convention and Visitors Bureau (CVB), the Brits have responded magnificently to recent events: they already make up a full 3% of the total of tourists that have visited the destination. 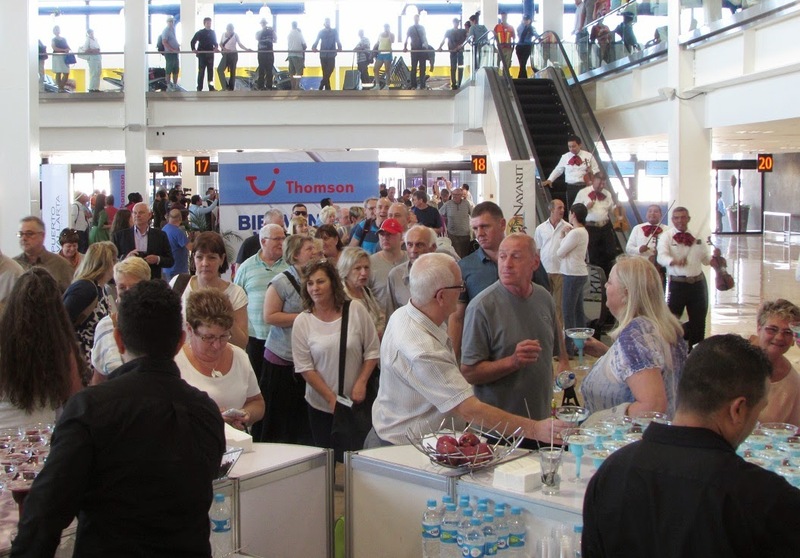 The launch of the two weekly direct flights from Manchester and London to the Vallarta-Nayarit International Airport through the wholesaler TUI and Thompson airlines was the trigger that began the snowball, as every flight has arrived full or near to capacity. Previously, tourists to the Riviera Nayarit were divided among Mexicans, Canadians and Americans, with 1% made up of other nationalities. During the first semester of 2013, this translated into 67% from Mexico, 25% from the United States and 7% from Canada, with the remaining 1% visiting from the rest of the world. By 2014, the same time period showed that now, thanks to these flights, the influx of British tourists has increased over that of other countries that lack the facilities to travel to this destination. The percentages changed accordingly: Mexican tourists made up 66% of the total, those from the US made up 20%, Canadians 9%, Britons 3% with 1% remaining for the rest of the countries around the world. Taking into consideration the number of passengers the two direct flights can fly in from England there could be a total of 600 visitors per week; this means that approximately seven thousand Britons have visited the region in the last trimester alone. It’s important to point out that each British visitor represents an extended stay and increased income for the region; due to the logistics of the flights they stay in the destination for at least a week, though the majority opt for two weeks and, in some cases, even three or four weeks. On the other hand, according to the Riviera Nayarit CVB survey takers, there are already a growing number of Colombian and Brazilian tourists to the region; eventually there will be statistics to reflect the advances the joint promotions have made within the emerging markets reached by the Vallarta-Nayarit campaign.